Learn more on Facebook, today. 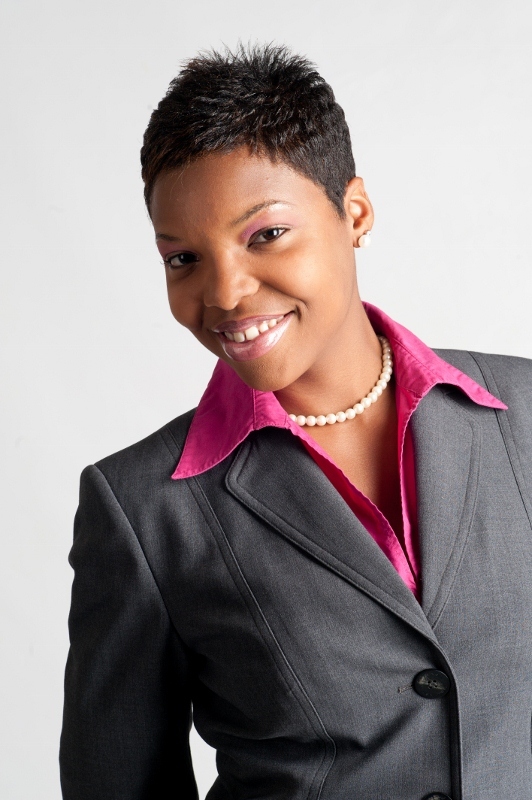 Our ninth GOLD Professional Profile is on Leslie L. Smith – CMTA grad, consultant, blogger, community relations & nonprofit professional. Read more below and consider submitting your own GOLD Professional Profile. 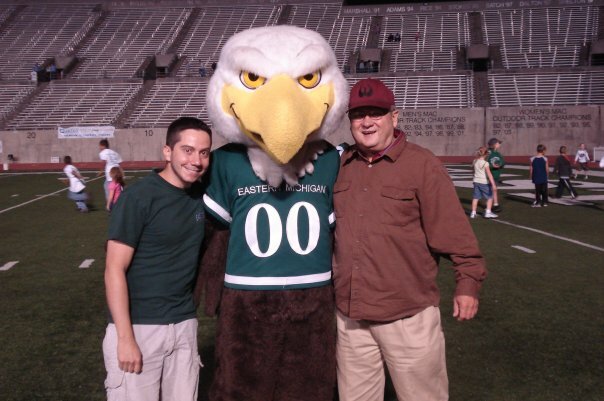 Your fun EMU fact: My fun EMU fact is that being connected to EMU has blessed me with some of the best relationships in my life both professionally and personally! I am a Community Relations and Nonprofit Professional with a passion for community, youth and development. I work as a consultant for Smith’s Professional Management, LLC; a company I started March 2009, offering marketing, business administrative and organizing services for nonprofits and small businesses. My greatest achievement so far has been structuring my life with work that I love and have a passion for doing; helping others, while maintaining a work/ life balance that allows me to be an involved parent, while still continuing my education on a graduate level. Currently, I do not feel that I am facing any professional challenges that I do not have the resources to handle. However, help is always appreciated. Growing a new business, I am always grateful for referrals for business, as well as opportunities which allow me to expand my knowledge and strengthen my skills. How has your EMU degree influenced your career decisions? When I first transferred to EMU, I was a Special Education and Emotional Impairment Teaching major. My world was forever changed when I found out about the American Humanics (AH) Nonprofit Scholars Program; which allows students to earn a certification and minor in Nonprofit Administration. Now while I’ve been volunteering in the community since I was in junior high school, learning of the AH program filled my heart with joy that I could make a career of my 1st love; community! It was at that time that I switched my major to Communication with a minor in Nonprofit Administration. I am forever grateful for the AH program. Through this program I was able to secure the Next Generation Scholarship, which paid for a 4 month internship. The organization I interned with is a children’s mental health agency, and immediately following my internship I was offered a position in their Resource Development Department. Until recently, I remained with that organization: managing volunteers, planning and executing community outreach initiatives, managing social media and website marketing, and coordinating client related programs. I am proud to be an “Eagle”, and my degree and experiences while an EMU student have absolutely played a vital role in helping me to shape my career path and future goals! We would like to invite alumni (especially education majors!) 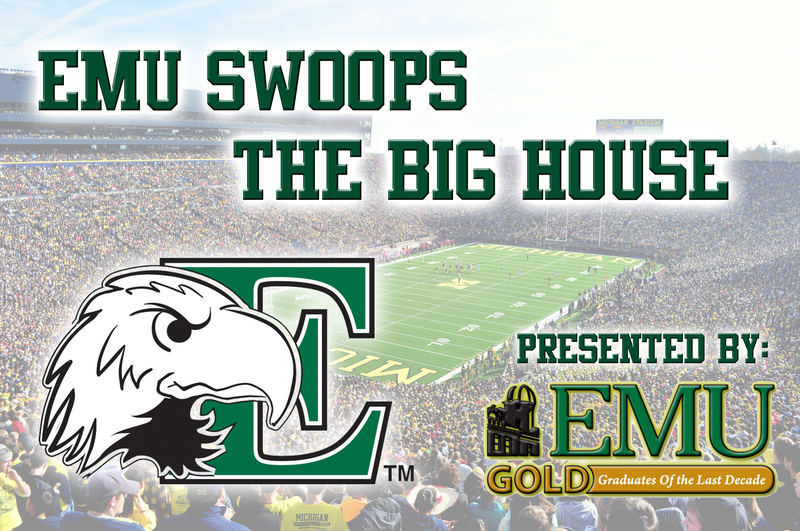 from EMU to visit historic Mann House in Concord, MI. It is a Victorian style house built in 1883-4 and was home to THREE women who graduated from Michigan State Normal School/College. Come see an authentic home where these incredible women were ahead of the times around the turn of the century and learn how much education in America and at Eastern has changed from then. 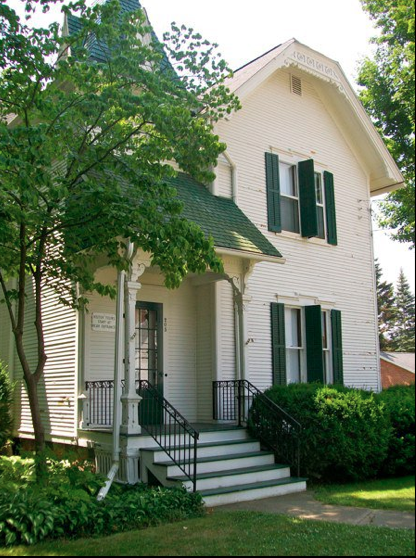 Located at 205 Hanover Street in Concord, MI – a mere 15 miles southwest of Jackson, the house is a unique step back in time because it was left just as it would have been when the family still resided here. We are open until September 3rd, and free to the public. Hours are: Wed-Sat 10 – 4:30pm and Sun 1 – 5 pm. I started at EMU in Fall 2001 and quickly discovered that it was the perfect place for me to explore my best four years of my life. I took every advantage I could, and before I knew it June 2005 rolled by and it was time to become an adult. Throughout that time my Dad was my biggest fan, enjoying visits to campus and proudly displaying his EMU stickers and sweatshirts. 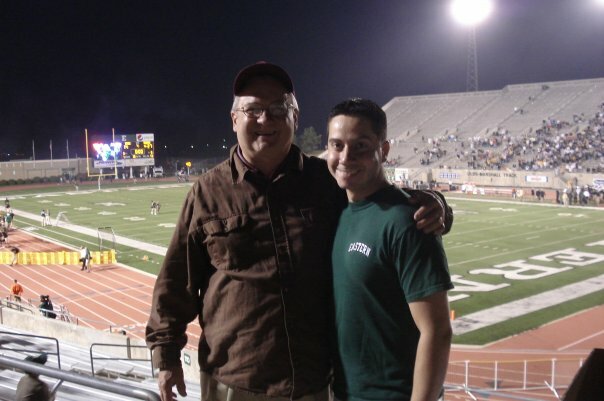 It wasn’t until after I graduated that I followed my Father’s love for college football. It was a joy for us to come to Ypsilanti on a perfect Fall day and spend the afternoon together. I had come to look forward to it every home game. A time for father and son to spend some quality time together. We supported the team through the tough times of a winless season and knew that they would come back. We were looking forward to this season after last seasons wins. My father passed away on July 23rd and I’m going to miss having him by my side on the bleachers enjoying the game. I am fortunate for the times we did get to spend cheering on the Green and White. I will cherish those moments forever.